To the eye, the C17 may appear quite racy in its shape and lines, which indeed it is. A saddle you can really settle into, the geometry and dimensions are based closely on that of Brooks' most recognisable model the B17, ensuring the same timeless comfort mile after mile. The C17s is slightly shorter than the C17, hence it is more suited to female anatomy. Brooks Cambium is a range of saddles made from vulcanized natural rubber and organic cotton canvas enhanced by a thin layer of structural textile for added resilience and legendary Brooks longevity. The uniquely flexible, maintenance-free, waterproof top is designed to follow the rider's movement to deliver immediate comfort and ease of use. The Cambium owes its remarkably natural look and feel to a woven organic cotton textile. 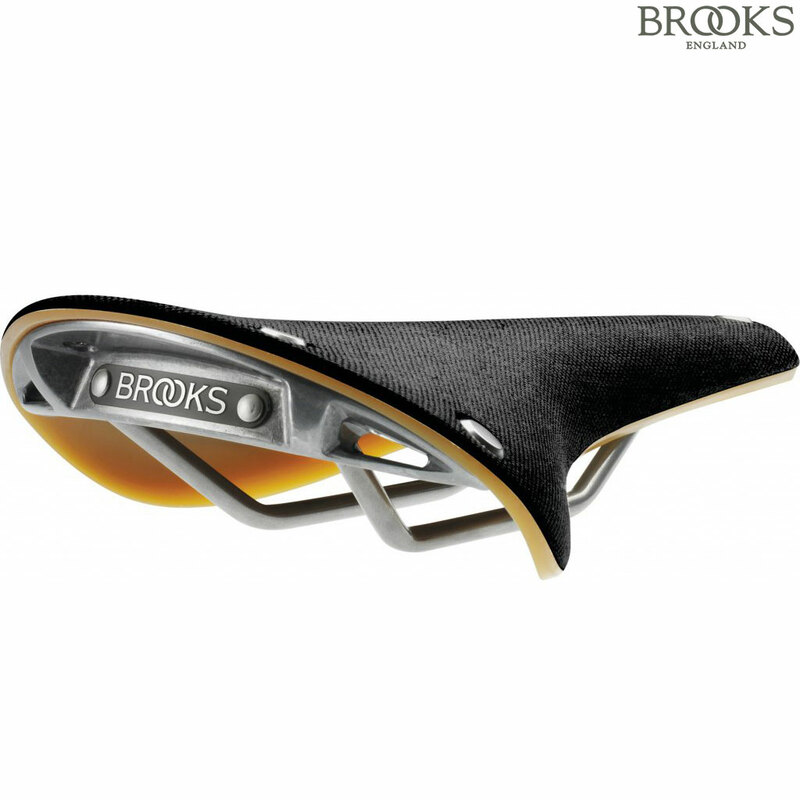 After the vulcanization process, the cotton then treated with Brooks Numac to completely protect the saddle against the elements. The Cambium is ready to ride as soon as you have properly fitted it on your bike. Enjoy every mile.